The phases of the HCG diet can be quite complex for the inexperienced user to understand. There are 3 distinct phases of the program, though research has made some suggested alterations to the HCG diet over the years. First and foremost, the original 500 calories per day that Dr. Simeons recommended has been changed after numerous studies showed that users experienced better results if the plan used the higher caloric intake of around 700 calories. This prevented plateaus from occurring as well as allowed users to more easily adhere to the program if they exercised as well. Secondly, the original methods for administration, via injections, are a thing of the past. There are now both prescription and non-prescription methods for taking HCG sublingually as well as through pills. Though these methods are just as effective, many people are sucked in by the mislabelled and dubious “homeopathic” HCG suppliers. These homeopathic drops actually do not work at all, and contain none of the hormone HCG, despite the claims of the sellers. The contain, on average, 0.000000000001 grams of HCG, versus our product which contains several milligrams per bottle! The first phase of the HCG diet plan is often overlooked, or seen as unnecessary. 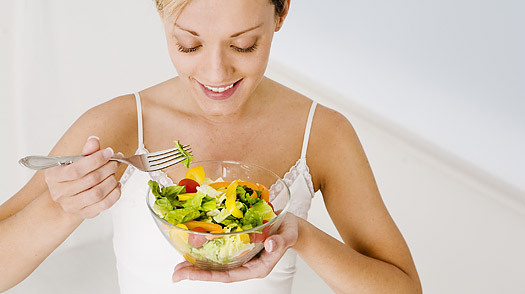 However, research on the HCG diet shows it to be an absolutely essential part of the HCG diet’s success. Primarily of note is that phase 1 is not merely a loading phase, but it’s also a critical 2-3 day time span that the body needs to mobilize stored fat. During this phase, the person eats high fat foods with few carbs. In doing so, the body attempts to store this fat, but the HCG hormone will not allow this to occur. As a result of this, the fat cells expand but do not grow in actual size, this loosens up the stored fat considerably. Because of this, once the person begins phase 2, the lipids are already mobilized from phase 1, and the result is rapid and considerably weight loss within the first week. This is the primary phase of the HCG diet, and previously lasted a mere 23-30 days per regimen according to the original program. However, with HCG Plus, we have found that users actually achieve more total weight loss and better long term results if they extend this for upwards of 60 days. Usually people can lose 20 to 30 pounds of weight without much effort within the first regimen with actual HCG (or 40 to 50 pounds with the longer regimen). This phase also involves a 700 calorie plan that we supply with the HCG Plus program. The results do generally speak for themselves. Unlike the homeopathic suppliers, our customers average at least 20 pounds of weight loss. No frills or “qualifications” to that statement needed. Just check our FAQ page for more information about just why HCG Plus is so powerful. This is the final phase of the program, and can be considered either the in between regimen phase, or maintenance phase after you reach your goal weight. During this phase, people are allowed to return to a normal 1500-2000 calorie diet, but with some limitations on fat sources and strict rules to avoid processed foods. This phase must be taken between regimens (even after the longer 60 day regimens with HCG Plus). It is essential that people take this phase, otherwise results my be adversely effected during follow up regimens. This phase at a minimum should last 21 days. When you order HCG Plus will receive a 25 page extensive breakdown and recipe guide custom written for HCG Plus and to provide the maximum benefits possible with the program.